This helpful playbook delivers actionable insights that will help get your school culture on track. 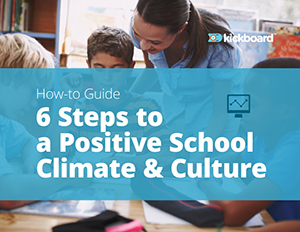 Packed with tips, case studies, and best practices, this playbook will help put you in the right mindset to establish clear goals to help you reinvigorate your school climate & culture. In this research brief, we'll walk you through the steps to get your entire leadership and teaching teams on board with a positive culture model.